It’s that time again! Today is the day of the week when we look at Japan and wonder what the hell someone was thinking when they got the bright idea to put that sign in English. Sometimes you can sort of see where they were going, but sometimes? This entry was posted in Engrish and tagged engrish, Friday, gang star, gangsta, gangstar, gangster, Japan, Japanese, salon. Bookmark the permalink. 9 Responses to Happy Friday! Ooh, like a gang of stars! There is a hair salon near my house called NEO ANTI BOO. I have no idea what BOO is but I’m happy to say that I have none of it in my hair. I am SO anti BOO! I hate it, especially in my hair! Far from being entirely superficial, appearance can play a huge role in the way people view us and we view ourselves. By altering our appearance, and therefor ones own perception and the perception of those around you, dramatic deviations in your life may occur. Will you work hard in school, enter a good university and find fulfillment in work that is deeply rewarding? Will you constantly struggle, fall in with the wrong crowd and align yourself with the criminal world? 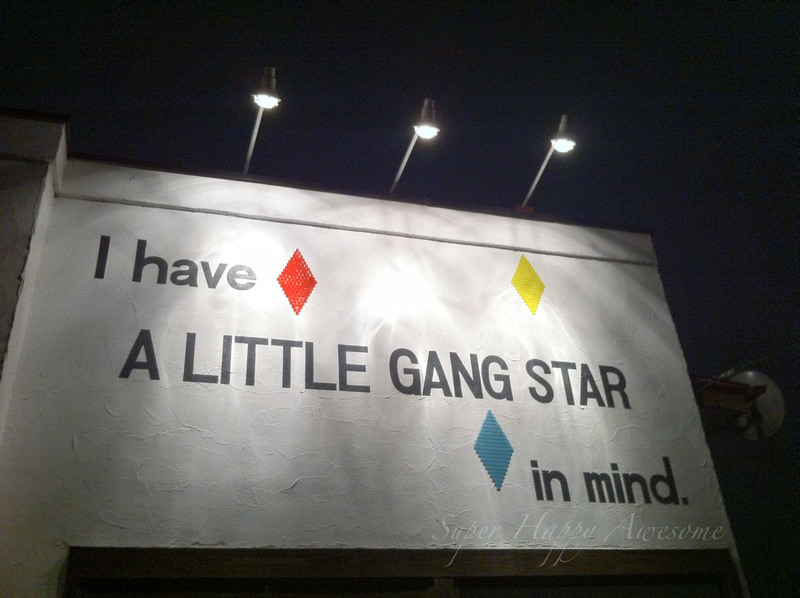 Perhaps you’ll even become a gang star? This salon is clearly concerned with such issues and appreciates the impact their work may have on their customer’s lives. It’s an import thing that we must all do as we consider the ramifications of our actions. We truly must all keep in mind a little gang star going forward. You sir, have won this post. Congratulations.